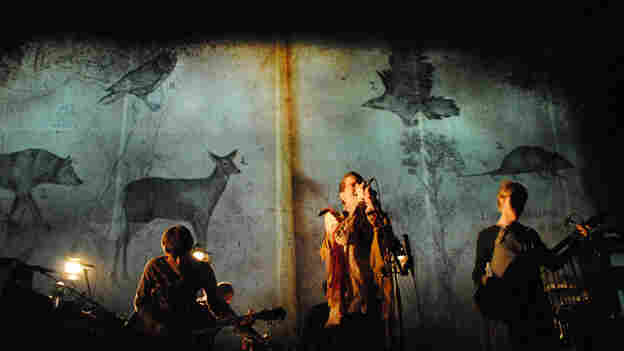 Jonsi In Concert Watch a video webcast of the singer for the ethereal Icelandic rock group Sigur Ros in a solo concert, recorded live from the Wiltern Theater in Los Angeles. The on-demand video stream will be available to watch until Oct. 21. Video for this concert is no longer available. 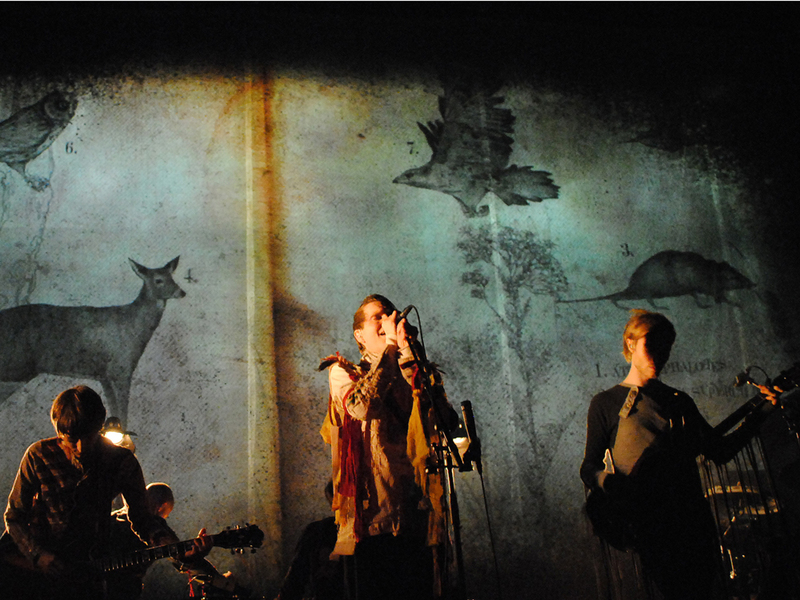 However, you can hear and download audio of another Jonsi performance in our archives. UPDATE: Unfortunately we were not able to get permission to stream either the full video or video clips of this performance. However, you can hear and download audio of another Jonsi performance in our archives. I'm thrilled to announce NPR Music's first video simulcast: Sigur Rós' singer in a solo concert, originally webcast live, in video, from Los Angeles on Oct. 17. Not only is the album by Jón Thór Birgisson (a.k.a. Jónsi) just about my favorite album of the year, but I've also heard that his live show is a visual stunner. Go came out earlier this year, and it's filled with songs that don't quite fit the landscape of Sigur Rós records, but surely sound like they live on a nearby island. The music of Go is often ecstatic and upbeat. String arrangements from classical music composer Nico Muhly add splashes of color. Both Mulhy and Jonsi are visual in the way they think about music. In fact, this isn't just a rock show with some colored lights. What you're about to see and hear is a concert production on the scale of a film. Film director Dean DuBlois, who previously directed the Sigur Rós film Heima, will be on hand to direct the six-camera live concert shoot. The show was filmed live from the Wiltern Theater in Los Angeles. The stage is described as a burnt-out warehouse, and much of what happens is done with video projection. But this isn't video projection on a big screen; this is video projection as a set element, more like a live film. Read more about the elaborate technical staging of the show from NPR's All Things Considered. Special thanks to Live Nation for providing the video and technical support for this event.